Free to use, no commission for the seller. Buyers always pay the shipping fee. 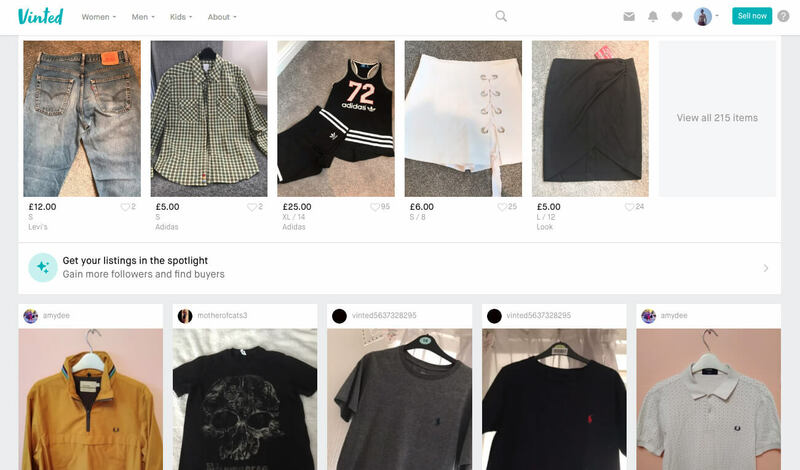 Selling on Vinted is completely free, always. Buyers pay a special buyer protection fee of 3% to 8% of the item’s price, plus a fixed fee of £0.3 to £0.8. I gave it a try, listing things is quick. It’s important to be able to list your items quickly to avoid spending ages doing this. The website is good, I downloaded the app as it’s easier to take the photos with your phone and upload them directly from it. You can reorder photos with drag and drop and rotate them. It has to be your own photos, you can’t use a photo from the retailer website where you originally bought your item. You have to try to do the best picture as you can to be able to sell. They have recommendations and advice for this and your item description too. I sold my first piece of clothing one day after listing my items on the app. A small sell yes, for £3 + postage. There are different shipping options. And you can also do a swap with another seller. Shpock.com is a website and an app. You can sell your clothes and accessories but also every other item of housewares etc. Gumtree exists since ages now, the website or app allows your free listings. It’s a place where you will also find property jobs, etc. Marketplace is getting bigger, in a few click art of Facebook your can sell your items. Otherwise, you can also use eBay or Amazon for a small commission fee.